To enable this, HHV, providing Cold mirror technology comprising of Dichroic Coating which transmits infrared (IR) light and thus producing a cool beam of reflected visible light. It gives a reflection of 90% between 400 to 700 nm and infrared transmission of 80% from 750 - 2000 nm which eliminates the heat energy. These reflectors have been tested to meet the requirements for environmental and physical durability set forth in specifications such as MIL-C-675C. 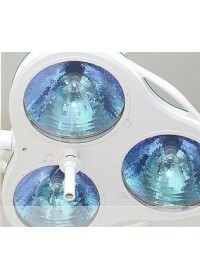 The Operating theater reflectors are manufactured in sizes of 5”, 5.5”, 6.5”, 8”, 12”, 14”, 18”. 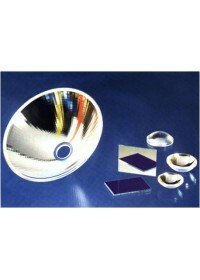 All these reflectors are made in a parabolic shape, which assures uniform concentrated light. HHV supplies reflectors as per the customer\'s requirements.